A Japanese probe sent to examine an asteroid in order to shed light on the origins of the solar system will now land on the rock several months later than planned, officials said Thursday. "The mission... is to land without hitting rocks," Tsuda said, adding this was a "most difficult" operation. "We had expected the surface would be smooth... but it seems there's no flat area." 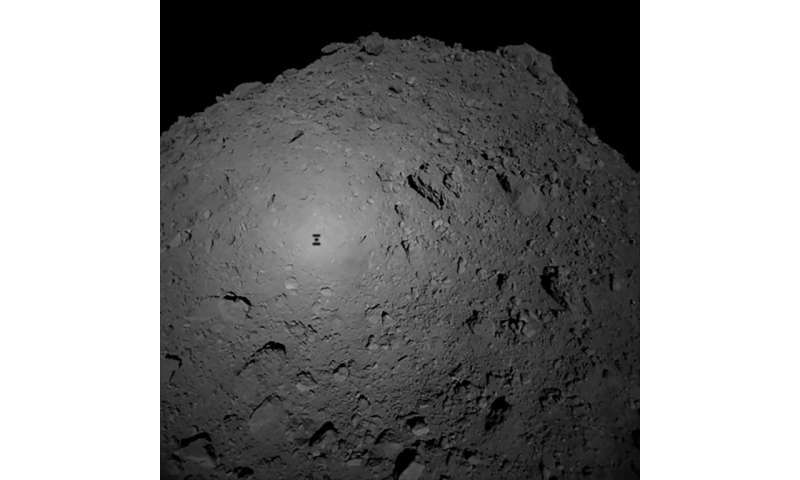 Last week, JAXA successfully landed a new 10-kilogramme (22-pound) observation robot known as MASCOT—"Mobile Asteroid Surface Scout." Ten days earlier, a pair of MINERVA-II micro-rovers were dropped onto the asteroid—marking the first time that moving, robotic observation devices have been successfully deployed. 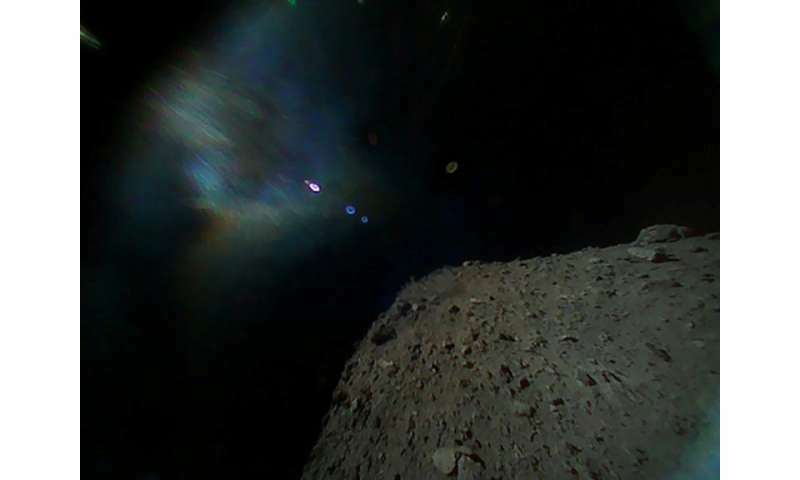 These rovers are taking advantage of Ryugu's low gravity to jump around on the surface—travelling as far as 15 metres (49 feet) and staying above the surface for as long as 15 minutes—to survey the asteroid's physical features with cameras and sensors. Photos of Ryugu—which means "Dragon Palace" in Japanese, a castle at the bottom of the ocean in an ancient Japanese tale—show an asteroid shaped a bit like a spinning top with a rough surface. Soon enough we'll be sending out fleets of standardized probes to survey 1000s of asteroids and comets. The BFR will be able to launch dozens at a time. Think big! The universe is a big place. "Make no little plans; they have no magic to stir men's blood and probably themselves will not be realized. Make big plans; aim high in hope and work, remembering that a noble, logical diagram once recorded will never die, but long after we are gone be a living thing, asserting itself with ever-growing insistency. Remember that our sons and our grandsons are going to do things that would stagger us. Let your watchword be order and your beacon beauty." Our solar system will become a very well-known, well understood, familiar and comfortable place.